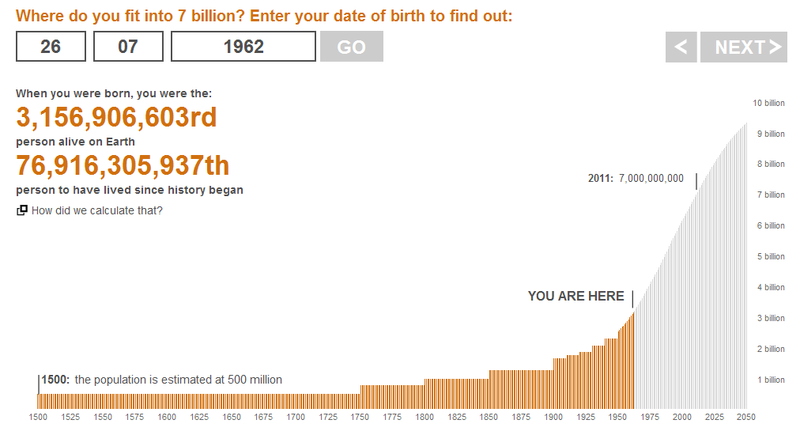 According to this interesting BBC page on population, the number of humans on Earth has more than doubled in my lifetime. MapQuest has a whole range of useful and freely available web services for geospatial queries. One of these is the Open Elevation Service. I thought it would be interesting to try it out using JEQL's capabilities of querying URLs and plotting datasets as images. 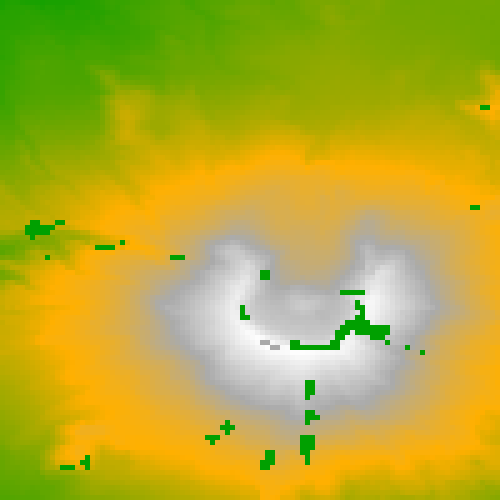 Once the elevations for all locations are retrieved, the locations are used to compute square cells (polygons) which cover the area, and the cells are symbolized with a fill value from a suitable color map based on elevation. Here's the final result. It's slightly squashed in aspect ratio, since the data grid is in the lat/long coordinate system. The obvious data dropouts seem to be hard errors in the MapQuest service, which is slightly surprising. But's it's recognizably Mt. St. Helens - you can even see the lava dome in the crater! Not surprisingly, this isn't quick to generate - the service runs at about 10 queries per second. (Actually, that seems pretty reasonable for a free web service!). The service does support querying multiple points per request - I might try to see if this decreases the latency (although this might be a bit complex to express in JEQL). John McCarthy, inventor of LISP, has died at age 84. Having finally balanced his parentheses, his atoms can now be returned to the free list. 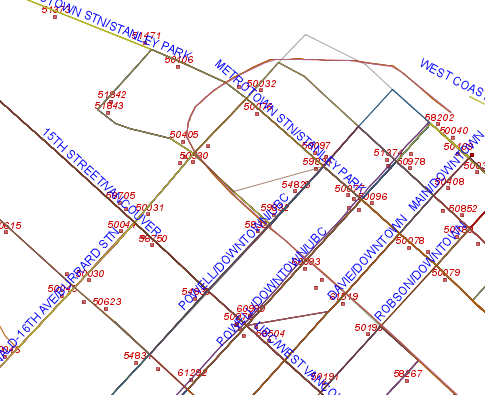 Once you understand the General Transit Feed Specification (GTFS) data model, the next step is to transform the data into a format usable in GIS tools. As usual, that means shapefiles (sigh...). Here's a JEQL script that extracts the geometry of all unique trips (aka "route patterns"), as well as the stop locations. Extracts Trips (with shapes) and stops from from a GTFS dataset. Includes shape, trip and route information.